Destroyed 11 Sections. N-3 Factory. Krasnodar Factory Complex. Heavily Damaged 1 Fuel Bunker. Krasnoarmeyskaya. Destroyed 1 T-34/76 Platoon. 1 Infantry Platoon. Heavily Damaged 1 Infantry Platoon. Krasnoarmeyskaya. Destroyed 6 Cargo Pallets. 2 Warehouses. Damaged Dock Area. Dzhubga. Sank 2 7000 Ton Freighters. Air/Action. Sank 1 14000 Ton Tanker. Air/Action. Damaged 1 Type 7 Destroyer. Air/Action. Destroyed 5 T-37/76. 5 Air/Action. Shot Down 1 P-40E-1. 1 Flak. Shot Down 3 Yak1-B. 1 Air/Action. 2 Flak. Shot Down 4 P-40E-1. 1 Air/Action. 3 Flak. Shot Down 9 IL2-43. 2 Air/Action. 6 Flak. 1 Mid/Air. Shot Down 1 Yak7-B. 1 Air/Action. Shot Down 6 A20-B. 5 Air/Action. 1 Flak. 17th Army Armored Units successfully withdrawn. Ahktyrskaya-Abinskaya Road. HQ Staff transferred via Ju-52. 2 Ammo Bunkers. 2 Infantry Platoons. Destroyed. Ahktyrskaya-Abinskaya Road. 3 Fuel Bunkers. 1 VL Factory Destroyed. Nijnebakanskaya. Reserve Fuel Depot Destroyed. 1 PzIV-F1 Destroyed. 1 Air/Action. 1 PzIV-G Destroyed. 1 Air/Action. 1 StG 37/24 Destroyed. 1 Air/Action. 6 Bf109G-4 lost. 4 Air/Action. 2 Flak. 1 He111H-16 lost. 1 Flak. 3 Hs129B-2 lost. 3 Flak. 3 Bf109G-6 lost. 3 Air/Action. 1 Bf109G-2 lost. 1 Mid/Air. 1 Parked Ju-52 Destroyed. 1 Air/Action. 29 Flak/Vehicles. Gelendzhik-2. Ahktyrskaya-Abinskaya Road. Nijnebakanskaya. Destroyed 2 Ammo Bunkers. 2 Infantry Platoons. Ahktyrskaya-Abinskaya Road. Destroyed 3 Fuel Bunkers. 1 VL Factory. Nijnebakanskaya. Reserve Fuel Depot Destroyed. Destroyed 1 PzIV-F1. 1 Air/Action. Destroyed 1 PzIV-G. 1 Air/Action. Destroyed 1 StG 37/24. 1 Air/Action. Shot Down 6 Bf109G-4. 4 Air/Action. 2 Flak. Shot Down 1 He111H-16. 1 Flak. Shot Down 3 Hs129B-2. 3 Flak. Shot Down 3 Bf109G-6. 3 Air/Action. Shot Down 1 Bf109G-2. 1 Mid/Air. Destroyed 1 Parked Ju-52. 1 Air/Action. Supplied 5th Guards Base via Pe-2. 11 Sections. Destroyed. N-3 Factory. Krasnodar Factory Complex. 1 Fuel Bunker. Destroyed. Krasnoarmeyskaya. 1 T-34/76 Platoon. 1 Infantry Platoon. Destroyed. 1 Infantry Platoon. Heavily Damaged. Krasnoarmeyskaya. 6 Cargo Pallets. 2 Warehouses. Destroyed. Dock Area. Damaged. Dzhubga. 2 7000 Ton Freighters Sunk. Air/Action. 1 14000 Ton Tanker Sunk. Air/Action. 1 Type 7 Destroyer Damaged. Air/Action. 5 T-37/76 Destroyed. 5 Air/Action. 1 P-40E-1 lost. 1 Flak. 3 Yak1-B lost. 1 Air/Action. 2 Flak. 4 P-40E-1 lost. 1 Air/Action. 3 Flak. 9 IL2-43 lost. 2 Air/Action. 6 Flak. 1 Mid/Air. 1 Yak7-B lost. 1 Air/Action. 6 A20-B lost. 5 Air/Action. 1 Flak. Well flown all. Kudos to the Transport Crewes for Both Sides. Last edited by Tx_Tip; 04-06-2018 at 15:37. Destroyed Oil Container Complex-1 and Oil Container Complex-2 Krasnodar Factory Complex. Destroyed 2 Sections. 1 Warehouse. Factory N-4. Krasnodar Factory Complex. Destroyed 2 Barracks. Sector 1127. Destroyed 5 Rolling Stock. Sector 1127. Shot Down 2 Mig-3. 2 Air/Action. Shot Down 1 Yak-1 s.69. 1 Air/Action. Shot Down 1 Spitfire MkVb. 1 Air/Action. Shot Down 2 Yak7-B. 1 Air/Action. 1 Flak. Shot Down 2 Pe-2 s.87. 1 Air/Action. 1 Flak. 3 Fuel Bunkers. 2 Ammo Bunkers. 1 Dugout. 1 Control Tower Destroyed. Gelendzhik-2. 1 Infantry Platoon. 1 Armored Platoon. Destroyed. Slavyanskaya. 1 Supply Hanger. 4 Factory Warehouses. 5 Factory Sections Destroyed. Slavyanskaya. 1 Armored Troop Convoy Destroyed. 1 Locomotive Engine. 4 Rolling Stock Destroyed. Slavyanskaya. 5 SdKfz251-1c Destroyed. 5 Air/Action. 5 StG 37/24 Destroyed. 5 Air/Action. 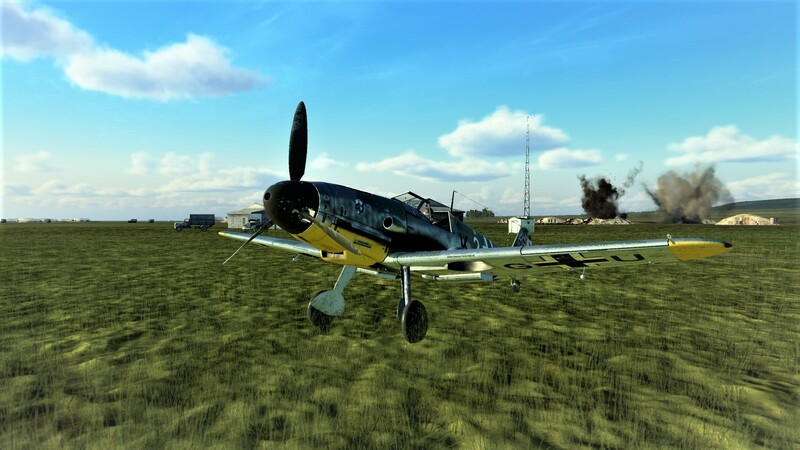 2 Bf109G-4 lost. 2 Air/Action. 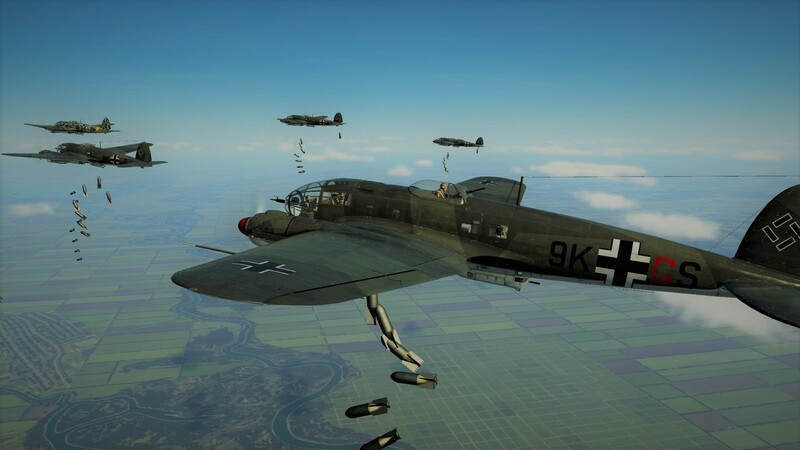 4 Ju-87D-3 lost. 4 Flak. 3 Bf109G-6 lost. 2 Air/Action. 1 Flak. Destroyed 3 Fuel Bunkers. 2 Ammo Bunkers. 1 Dugout. 1 Control Tower. Gelendzhik-2. Destroyed 1 Infantry Platoon. 1 Armored Platoon. Slavyanskaya. Destroyed 1 Supply Hanger. 4 Factory Warehouses. 5 Factory Sections. Slavyanskaya. Destroyed 1 Armored Troop Convoy. Destroyed 1 Locomotive Engine. 4 Rolling Stock. Slavyanskaya. Destroyed 5 SdKfz251-1c. 5 Air/Action. Destroyed 5 StG 37/24. 5 Air/Action. Shot Down 2 Bf109G-4. 2 Air/Action. Shot Down 4 Ju-87D-3. 4 Flak. Shot Down 3 Bf109G-6. 2 Air/Action. 1 Flak. Oil Container Complex-1 and Oil Container Complex-2 Destroyed. Krasnodar Factory Complex. 2 Sections. 1 Warehouse. Destroyed. Factory N-4. Krasnodar Factory Complex. 2 Barracks Destroyed. Sector 1127. 5 Rolling Stock Destroyed. Sector 1127. 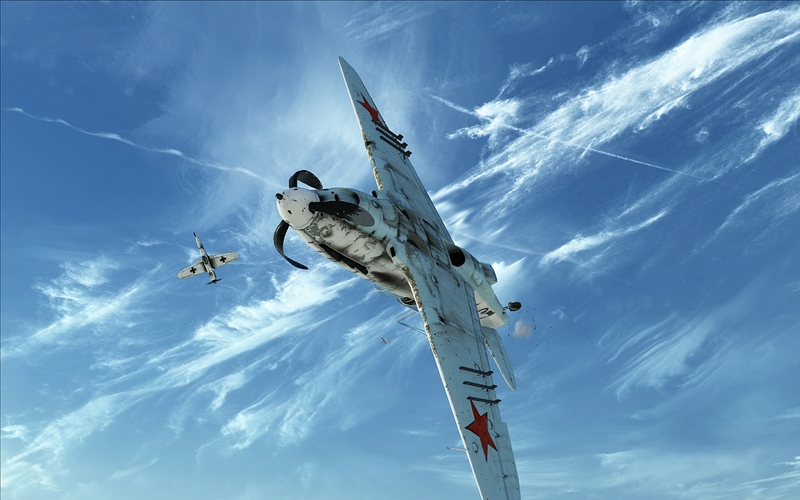 2 Mig-3 lost. 2 Air/Action. 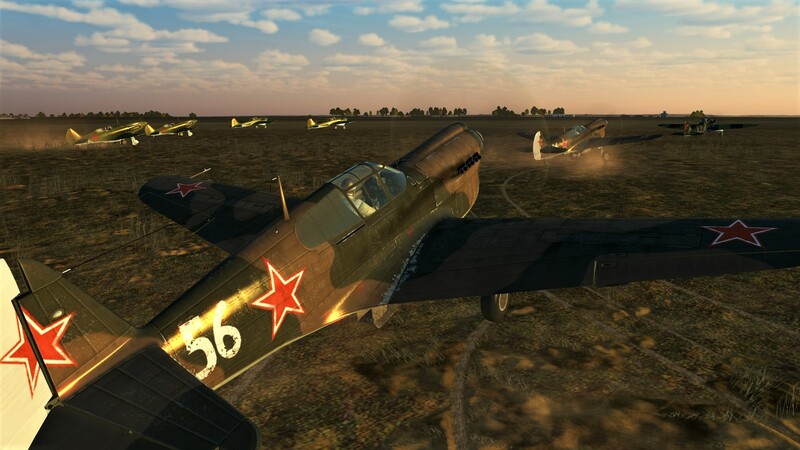 1 Yak-1 s.69 lost. 1 Air/Action. 1 Spitfire MkVb lost. 1 Air/Action. 2 Yak7-B lost. 1 Air/Action. 1 Flak. 2 Pe-2 s.87 lost. 1 Air/Action. 1 Flak. Well flown all. Due to RL issues FNBF will return June 1st. Destroyed 3 Supply Hangers. Krasnodar-1 Airbase. Destroyed Factory-4. 2 Sections Factory-1. 1 Fuel Bunker. 1 Dugout. 1 Control Tower. Staro-Nizhne-Steblievskaya. Destroyed 2 Locomotive Engines. 13 Rolling Stock. Staro-Nizhne-Steblievskaya. Krasnoarmeyeskaya. Destroyed 5 Kv1-42. 5 Air/Action. Shot Down 3 IL2-43. 3 Air/Action. Shot Down 11 Spitfire MkIVe. 7 Air/Action. 4 Flak. Shot Down 4 Pe-2 s.87. 2 Air/Action. 2 Flak. 17th Army Units Retreating from Northern Positions. Fuel Bunkers 1-2. Ammo Bunkers Sections 1-2. 1 Barracks Destroyed. Revetments Damaged. Myskhako Airbase. 5 Factory Sections. Destroyed. Troitskaya. 1 Infantry Platoon. 1 Armored Platoon. Destroyed. Troitskaya. 1 Locomotive Engine. 9 Rolling Stock Destroyed. Troitskaya. 10 Bf109G-14 lost. 8 Air/Action. 4 Flak. 3 Bf110G-2 lost. 1 Air/Action. Destroyed Fuel Bunkers 1-2. Ammo Bunkers Sections 1-2. 1 Barracks. Damaged Revetments. Myskhako Airbase. Destroyed 5 Factory Sections. Troitskaya. Destroyed 1 Infantry Platoon. 1 Armored Platoon. Troitskaya. Destroyed 1 Locomotive Engine. 9 Rolling Stock. Troitskaya. Shot Down 10 Bf109G-14. 8 Air/Action. 4 Flak. Shot Down 1 Bf110G-2. 1 Air/Action. 3 Supply Hangers. Destroyed.Krasnodar-1 Airbase. Factory-4. 2 Sections Factory-1. 1 Fuel Bunker. 1 Dugout. 1 Control Tower. Destroyed. Staro-Nizhne-Steblievskaya. 2 Locomotive Engines. 13 Rolling Stock. Destroyed. Staro-Nizhne-Steblievskaya. Krasnoarmeyeskaya. 5 Kv1-42 Destroyed. 5 Air/Action. 3 IL2-43 lost. 3 Air/Action. 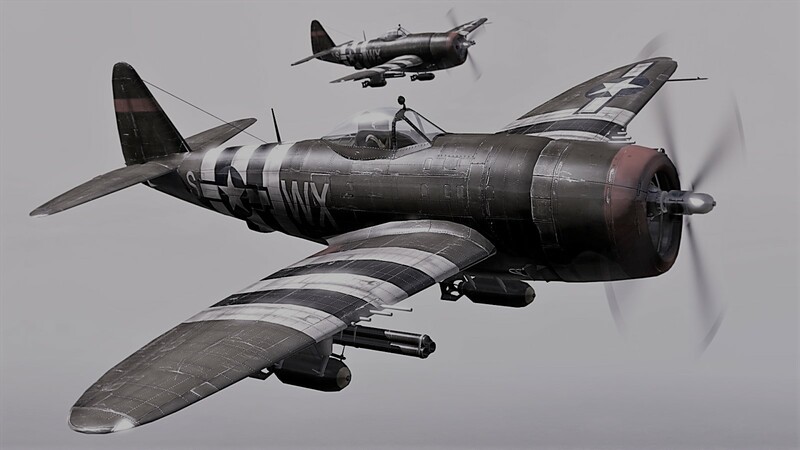 11 Spitfire MkIVe lost. 7 Air/Action. 4 Flak. 4 Pe-2 s.87 lost. 2 Air/Action. 2 Flak. Well flown all. Good Action. Destroyed 5 Factory Sections. 3 Fuel Bunkers. Zety Airbase. Destroyed 1 Armored Convoy. 4 Ammo Bunkers. 4 Barracks. Buzinovka Sector. Destroyed 5 T-34/76. 5 Air/Action. Destroyed 2 Kv_1-42 2 Air/Action. Engaged and Destroyed 4 Kv-1. 4 Tank/Action. Shot Down 7 IL2-43. 4 Air/Action. 3 Flak. Shot Down 3 Spitfire MkIVe. 2 Air/Action. 1 Flak. Shot Down 7 Yak1-B. 7 Air/Action. 1 via Ju-52. Shot Down 3 A-20B. 1 Air/Action. 2 Flak. Shot Down 2 La-5FN. 1 Air/Action. 1 Flak. 15 Flak/Vehicles. Buzinovka Sector. Zety. Kalach Recaptured by 64th Army. 5 Ammo Bunkers. Destroyed. Dock Area Sector 1215. 3 Bridges. 3 Dugouts. 4 Ammo Bunkers. Destroyed. Sector 1315. 15 Factory Sections. Destroyed. Verhne-Aksenovsky. 1 Infantry Platoon. Destroyed. Sector 1315. 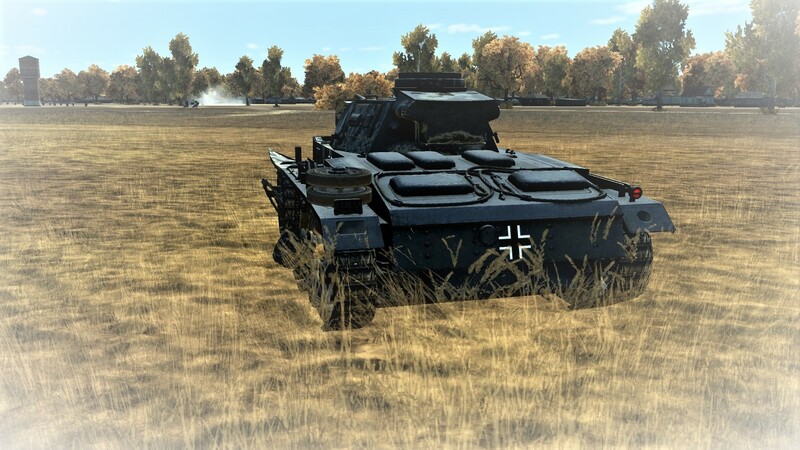 1 SdKFz251-1c Destroyed. 1 Air/Action. 4 Tiger MkVI Engaged and Destroyed. 4 Tank/Action. 3 Pz MkIII Engaged and Destroyed. 3 Tank/Action. 6 Fw190A-8 lost. 4 Air/Action. 2 Flak. 1 Ju-87D3 lost. 1 Flak. 13 Flak/Vehicles. Lyapichev. Kalach. Verhne-Aksenovsky. Dock Area Sector 1215. Sector 1315. Kalach Recaptured by 64th Army Armored Units. Destroyed 5 Ammo Bunkers. Dock Area Sector 1215. Destroyed 3 Bridges. 3 Dugouts. 4 Ammo Bunkers. Sector 1315. Destroyed 15 Factory Sections. Verhne-Aksenovsky. Destroyed 1 Infantry Platoon. Sector 1315. Destroyed 1 SdKFz251-1c. 1 Air/Action. Engaged and Destroyed 4 Tiger MkVI. 4 Tank/Action. Engaged and Destroyed 3 Pz MkIII. 3 Tank/Action. Shot Down 6 Fw190A-8. 4 Air/Action. 2 Flak. Shot Down 1 Ju-87D3. 1 Flak. 5 Factory Sections. 3 Fuel Bunkers. Destroyed. Zety Airbase. 1 Armored Convoy. 4 Ammo Bunkers. 4 Barracks. Destroyed. Buzinovka Sector. 5 T-34/76. Destroyed. 5 Air/Action. 2 Kv_1-42 1 Destroyed. 2 Air/Action. 4 Kv-1. Engaged and Destroyed. 4 Tank/Action. 7 IL2-43 lost. 4 Air/Action. 3 Flak. 3 Spitfire MkIVe lost. 2 Air/Action. 1 Flak. 7 Yak1-B lost. 7 Air/Action. 3 A-20B lost. 1 Air/Action. 2 Flak. 2 La-5FN lost. 1 Air/Action. 1 Flak. *Edit complete with Nils resupply and air kill now noted. Last edited by Tx_Tip; 19-08-2018 at 23:54. Destroyed 2 Factory Sections. 6 Factory Warehouses. 1 Fuel Bunker. 2 Ammo Bunkers. Ust' Labinskaya. Destroyed 4 Warehouses. 1 Fuel Bunker. 2 Ammo Bunkers. 2 Barracks. 3 Control Towers. Guriyskaya. Destroyed 1 Kv_1 Armored Column. Saratovskaya. Destroyed 6 T-34/76. 6 Air/Action. Engaged and Destroyed 3 T-34/76. 3 Tank/Action. Engaged and Destroyed 5 Kv-1. 5 Tank/Action. Destroyed 2 T-70. 2 Air/Action. Shot Down 6 IL2-43. 4 Air/Action. 2 Flak. Shot Down 6 Yak1-B. 6 Air/Action. Shot Down 6 A-20B. 6 Air/Action. Shot Down 3 Spitfire MkIXe. 3 Air/Action. 12 Flak/Vehicles. Guriyskaya. Ust' Labinskaya. 17th Army Lines Ryazanskaya Supplied via Field Cargo Deliveries. Dinkskaya Fuel and Ammo Depot Destroyed. Ryazanskaya 17th Army Lines Falling back with Heavy Losses. 9 Fuel Bunkers. 4 Ammo Bunkers. 2 vl_Factories. 1 Supply Hanger. 2 Dugout Complexes. Dinkskaya. 4 Dugout Complexes. 4 Ammo Bunkers. 2 Fuel Bunkers. 1 Control Tower. Ryazanskaya. 1 Bridge. 2 Ammo Bunkers. 2 Barracks. 2 Control Towers. 1 Supply Hanger. Saratovskaya. 4 PzMkIV-G Destroyed. 1 Air/Action. 3 Anti-Tank/Action. 3 Pak-40 Destroyed. 2 Air/Action. 1 Anti-Tank/Action. 2 88mm Anti-Tank Guns Destroyed. 2 Anti-Tank/Action. 1 Tiger MkVI Engaged and Destroyed. 1 Tank/Action. 5 Bf109G-14 lost. 5 Air/Action. 1 Fw190A-8 lost. 1 Flak. 5 Bf110G-2 lost. 5 Air/Action. 5 Bf109G-6 lost. 1 Air/Action. 3 Ju-52 lost. 3 Air/Action. 25 Flak/Vehicles. Dinskaya. Saratovskaya. Ryazanskaya. Vasurinskaya. Destroyed Dinkskaya Fuel and Ammo Depot. Destroyed 9 Fuel Bunkers. 4 Ammo Bunkers. 2 vl_Factories. 1 Supply Hanger. 2 Dugout Complexes. Dinkskaya. Destroyed 4 Dugout Complexes. 4 Ammo Bunkers. 2 Fuel Bunkers. 1 Control Tower. Ryazanskaya. Destroyed 1 Bridge. 2 Ammo Bunkers. 2 Barracks. 2 Control Towers. 1 Supply Hanger. Saratovskaya. Destroyed 4 PzMkIV-G. 1 Air/Action. 3 Anti-Tank/Action. Destroyed 3 Pak-40. 2 Air/Action. 1 Anti-Tank/Action. Destroyed 2 88mm Anti-Tank Guns. 2 Anti-Tank/Action. Engaged and Destroyed 1 Tiger MkVI. 1 Tank/Action. Shot Down 5 Bf109G-14. 5 Air/Action. Shot Down 1 Fw190A-8. 1 Flak. Shot Down 5 Bf110G-2. 5 Air/Action. Shot Down 5 Bf109G-6. 1 Air/Action. Shot Down 3 Ju-52. 3 Air/Action. 2 Factory Sections. 6 Factory Warehouses. 1 Fuel Bunker. 2 Ammo Bunkers. Ust' Labinskaya. 4 Warehouses. 1 Fuel Bunker. 2 Ammo Bunkers. 2 Barracks. 3 Control Towers. Guriyskaya. 1 Kv_1 Armored Column. Saratovskaya. 6 T-34/76 Destroyed. 6 Air/Action. 3 T-34/76 Engaged and Destroyed. 3 Tank/Action. 5 Kv-1 Engaged and Destroyed. 5 Tank/Action. 2 T-70 Destroyed. 2 Air/Action. 6 IL2-43 lost. 4 Air/Action. 2 Flak. 6 Yak1-B lost. 6 Air/Action. 6 A-20B lost. 6 Air/Action. 3 Spitfire MkIXe lost. 3 Air/Action. Great Time and Well Flown All. Last edited by Tx_Tip; 16-09-2018 at 15:26. Destroyed 1 Section Fuel Farm. Krasnaya Strela. Destroyed 4 Warehouses. 1 Cargo Dump. Chushka. Destroyed 3 Factory Sections. 1 Factory Warehouses. 6 Fuel Tanks. 1 Large Fuel Tank. 1 Oil Tank. Krasnaya Strela. Destroyed 2 Factory Sections. 4 Supply Hangers. 4 Fuel Bunkers. 2 Ammo Bunkers. 1 Dock. Veselovka. Sank 1 MTB s.38. 1 Air/Action. Shot Down 9 Lagg-3 s.29. 9 Air/Action. Shot Down 5 IL2-41. 3 Air/Action. 2 Flak. Shot Down 4 P-40E-1. 3 Air/Action. 1 Flak. Shot Down 9 Mig-3 s.24. 6 Air/Action. 3 Flak. Shot Down 4 A-20B. 4 Air/Action. Shot Down 3 I-16 t.24. 3 Air/Action. Shot Down 2 Pe-2 s.35. 2 Flak. 17th Army Lines Taman Supplied via Field Cargo Deliveries. Wounded Transferred Taman Field Hospital to 17th Army Hospital Marfovka. Onuk Fuel Depots 90% Destroyed. 16 Fuel Bunkers. 6 Ammo Bunkers. 12 Cargo Dumps. 2 vl_Factories. 1 Supply Hanger. 1 Barrack. 1 Control Tower. Onuk. 6 Dugouts. 1 Ammo Bunker. Krotov/Gaduchiy Kut. 2 Factory Sections. 2 Cargo Dumps. 1 Supply Hanger. Kamysh Burun. 1 Infantry Platoon. Krotov/Gaduchiy Kut. 1 Locomotive Engine. 4 Rolling Stock. 2 Landboat-A Sunk. 2 Air/Action. 1 Marder III-H Destroyed. 1 Air/Action. 1 PzIII-H Destroyed. 1 Air/Action. 8 Bf109F-2 lost. 5 Air/Action. 3 Flak. 4 Ju-88A-4 lost. 2 Air/Action. 2 Flak. 1 Bf110E-2 lost. 1 Air/Action. 1 Mc202 VIII lost. 1 Flak. 1 Ju-52 lost. 1 Air/Action. 27 Flak/Vehicles. Onuk. Krotov/Gaduchiy Kut. 5th Guards Armored Units Attacking 17th Army Lines @ Taman. 90% Onuk Fuel Depots Destroyed. Destroyed 16 Fuel Bunkers. 6 Ammo Bunkers. 12 Cargo Dumps. 2 vl_Factories. 1 Supply Hanger. 1 Barrack. 1 Control Tower. Onuk. Destroyed 6 Dugouts. 1 Ammo Bunker. Krotov/Gaduchiy Kut. Destroyed 2 Factory Sections. 2 Cargo Dumps. 1 Supply Hanger. Kamysh Burun. Destroyed 1 Infantry Platoon. Krotov/Gaduchiy Kut. Destroyed 1 Locomotive Engine. 4 Rolling Stock. 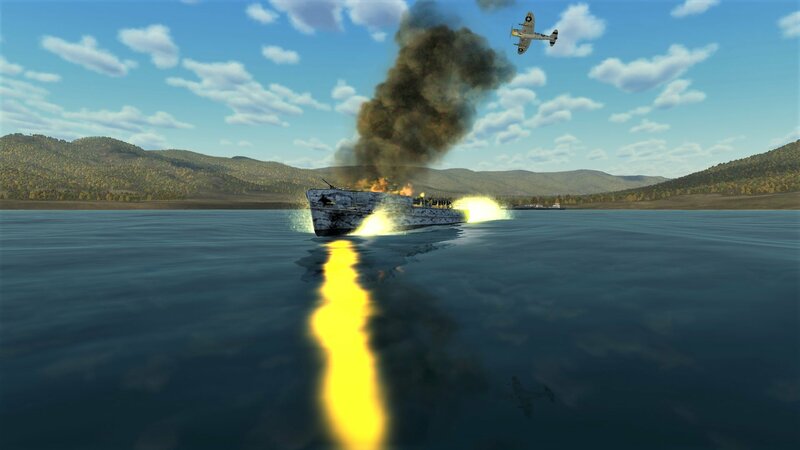 Sank 2 Landboat-A. 2 Air/Action. Destroyed 1 Marder III-H. 1 Air/Action. Destroyed 1 PzIII-H. 1 Air/Action. Shot Down 8 Bf109F-2. 5 Air/Action. 3 Flak. Shot Down 4 Ju-88A-4. 2 Air/Action. 2 Flak. 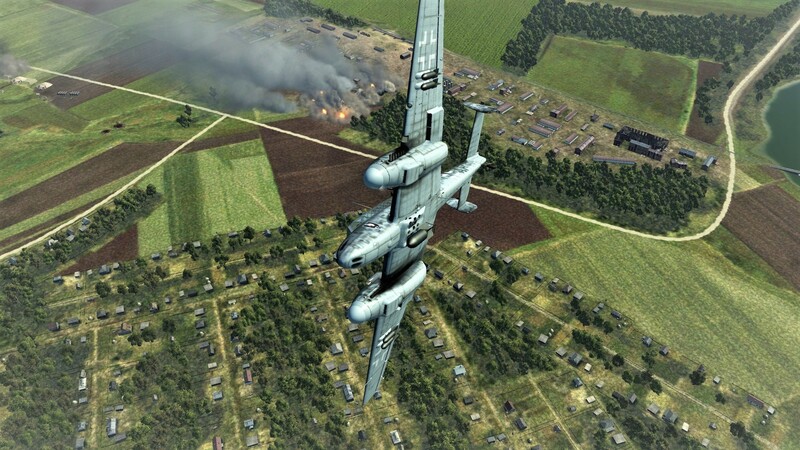 Shot Down 1 Bf110E-2. 1 Air/Action. Shot Down 1 Mc202 VIII. 1 Flak. Shot Down 1 Ju-52. 1 Air/Action. 1 Section Fuel Farm Destroyed. Krasnaya Strela. 4 Warehouses. 1 Cargo Dump. Chushka. 3 Factory Sections. 1 Factory Warehouses. 6 Fuel Tanks. 1 Large Fuel Tank. 1 Oil Tank. Krasnaya Strela. 2 Factory Sections. 4 Supply Hangers. 4 Fuel Bunkers. 2 Ammo Bunkers. 1 Dock. Veselovka. 1 MTB s.38 Sunk. 1 Air/Action. 9 Lagg-3 s.29 lost. 9 Air/Action. 5 IL2-41 lost. 3 Air/Action. 2 Flak. 4 P-40E-1 lost. 3 Air/Action. 1 Flak. 9 Mig-3 s.24 lost. 6 Air/Action. 3 Flak. 4 A-20B lost. 4 Air/Action. 3 I-16 t.24 lost. 3 Air/Action. 2 Pe-2 s.35 lost. 2 Flak. XIV PzD Units Captured Gumrak Airbase. Destroyed 4 Ammo Bunkers. Elshanka. Destroyed 5 Factory Sections. 8 Cargo Dumps. 1 Factory Warehouse. Docks Heavily Damaged. Beketovka. Destroyed 1 Zis3 Anti-Tank Gun. 1 Air/Action. 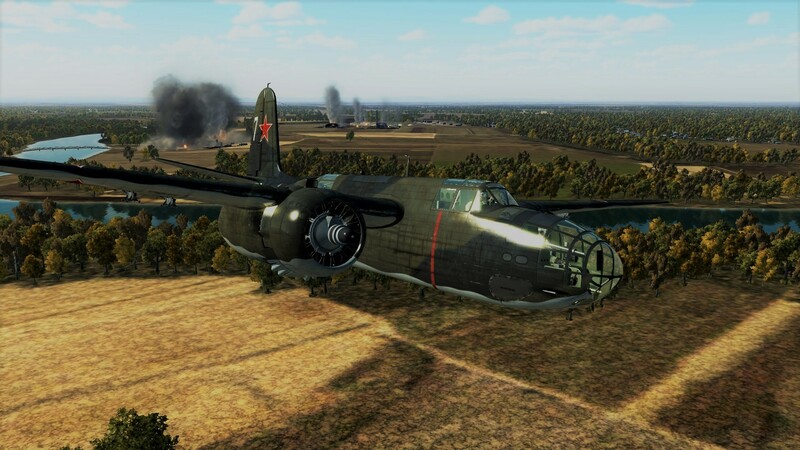 Shot Down 2 Lagg-3 s.29. 2 Flak. Shot Down 12 IL2-42. 8 Air/Action. 4 Flak. Shot Down 8 Yak-1 s.69. 7 Air/Action. 1 Flak. Shot Down 1 IL2-41. 1 Air/Action. Shot Down 1 La-5 s.8. 1 Flak. Shot Down 1 Pe-2 s.87. 1 Air/Action. 2 Resupply Deliveries to XIV PzD at Bol.Rossoshka. 2 Fuel Bunkers. 2 Control Towers. Zety Airbase. Defensive Lines Heavily Damaged. Bol.Rossoshka. SdK Infantry Convoy. Sector 1225. 8 SdKfz251-1c Destroyed. 1 Air/Action. 7 Bf109G-2. 6 Air/Action. 1 Flak. 2 Parked Ju-52 lost. 2 Air/Action. 9 Flak/Vehicles. Sector 1225. Sector 0924. Bol.Rossoshka. Nov. Roganchik. Destroyed 2 Fuel Bunkers. 2 Control Towers. Zety Airbase. Heavily Damaged Defensive Lines. Bol.Rossoshka. Destroyed 2 Factory Sections. Nov. Roganchik. Destroyed 1 Factory Sections. Golubinsky. Destroyed SdK Infantry Convoy. Sector 1225. Destroyed Supply Column. Sector 0924. Destroyed 8 SdKfz251-1c. 8 Air/Action. Shot Down 7 Bf109G-2. 6 Air/Action. 1 Flak. Shot Down 4 Ju-87D-3. 4 Air/Action. Shot Down 1 He-111H-6. 1 Air/Action. Destroyed 2 Parked Ju-52. 2 Air/Action. 4 Ammo Bunkers. Destroyed. Elshanka. 5 Factory Sections. 8 Cargo Dumps. 1 Factory Warehouse. Destroyed. Docks Heavily Damaged. Beketovka. 1 Zis3 Anti-Tank Gun. Destroyed. 1 Air/Action. 2 Lagg-3 s.29 lost. 2 Flak. 12 IL2-42 lost. 8 Air/Action. 4 Flak. 8 Yak-1 s.69 lost. 7 Air/Action. 1 Flak. 1 IL2-41 lost. 1 Flak. 1 La-5 s.8 lost. 1 Flak. 1 Pe-2 s.87 lost. 1 Air/Action. Destroyed Factory District 2. Varenikovskaya. Destroyed 3 Fuel Bunkers. 2 Ammo Bunkers. 3 Factory Sections. 7 Factory Warehouses. 2 Supply Hangers. 1 Barrack. 3 Control Towers. Docks Heavily Damaged. Varenikovskaya. Shot Down 6 P-47D-28. 2 Air/Action. 4 Flak. Shot Down 1 A-20B. 1 Air/Action. Shot Down 1 P-39L-1. Air/Action. Shot Down 1 P-40E. 1 Air/Action. Factory R-1. Fuel Depot-2. Destroyed. 1 Section Factory R-2. 1 Section Fuel Depot-2. Damaged. Nijnebakanskaya. 1 Fuel Bunker. Rail Station. 1 Vl_Factory. 2 Supply Hangers. Destroyed. Nijnebakanskaya. 2 Control Towers. Destroyed. 1 Ammo Bunker. Damaged. Krasnya Oktyabr. Warehouse District 1 Destroyed. Warehouse District 2 Heavily Damaged. Achtyrskaya. 2 Ammo Bunkers. 2 Control Towers. Destroyed. Slavyanskaya. 1 Locomotive Engine. 3 Rolling Stock. 3 PzIVF-1 Destroyed. 3 Air/Action. 5 StG 37/L24 Destroyed. 5 Air/Action. 4 Bf109G-2 lost. 4 Air/Action. 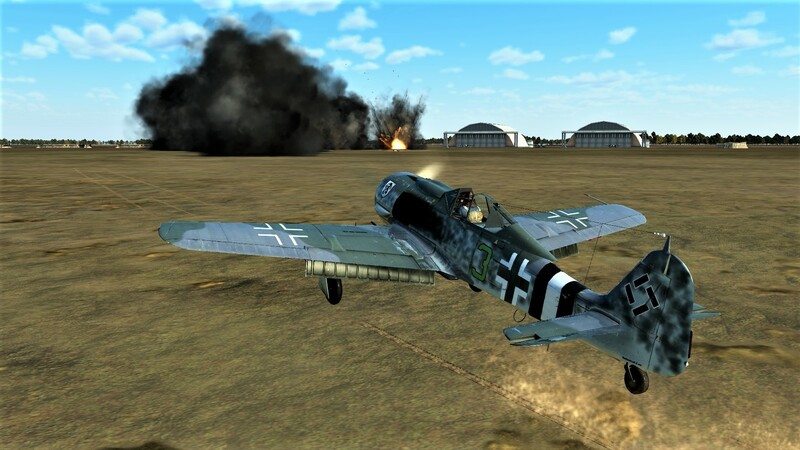 2 Fw190A-5 lost. 2 Flak. 4 Bf109K-4 lost. 2 Air/Action. 2 Flak. 45 Flak/Vehicles. Nijnebakanskaya. Krasnya Oktyabr. Achtyrskaya. Slavyanskaya. Destroyed Factory R-1. Fuel Depot-2. Damaged 1 Section Factory R-2. 1 Section Fuel Depot-2. Nijnebakanskaya. Destroyed 1 Fuel Bunker. Rail Station. 1 Vl_Factory. 2 Supply Hangers. Nijnebakanskaya. Destroyed 2 Control Towers. Damaged 1 Ammo Bunker. Krasnya Oktyabr. Destroyed Warehouse District 1. Heavily Damaged Warehouse District 2. Achtyrskaya. Destroyed 2 Ammo Bunkers. 2 Control Towers. Slavyanskaya. 3 Fuel Bunkers. 2 Ammo Bunkers. 7 Factory Warehouses. 2 Supply Hangers. 1 Barrack. 3 Control Towers. Destroyed. Docks Heavily Damaged. Varenikovskaya. 6 P-47D-28 lost. 2 Air/Action. 4 Flak. 1 A-20B lost. 1 Air/Action. 1 P-40E lost. 1 Air/Action. Last edited by Tx_Tip; 11-12-2018 at 19:57. Ive got the backup battery for the B0S server now but work have decided to call me out. Destroyed 6 Factory Warehouse Sections. 1 Supply Hanger. Temryuk. Destroyed 3 Fuel Bunkers. 2 Factory Warehouse Sections. 1 Barrack. 1 Dock Heavily Damaged. Varenikovskaya. Destroyed 1 Supply Hanger. Kyivskoe-1. Shot Down 17 P-47D-28. 9 Air/Action. 8 Flak. Shot Down 14 Spitfire Mk.IXe. 14 Air/Action. 4 Flak. 4 Factory Warehouse Sections. Destroyed. Migrelskaya. 1 Section Fuel Depot. 4 Ammo Bunkers. 2 Factory Warehouse Sections. 1 Control Tower. 2 Supply Hangers. Destroyed. Troitskaya. 4 Cargo Dumps. 6 Factory Warehouse Sections. Destroyed. Karbardinka Docks. 3 Dugouts. 1 Warehouse. 1 Section Revetments. Destroyed. Gelendzhik Airbase. 1 14,000 Ton Tanker Sunk. Air/Action. 1 MTB S-38 Sunk. Air/Action. 1 Locomotive Engine. 8 Rolling Stock. Air/Action. 2 PzIVG-1 Destroyed. 2 Air/Action. 3 SdKfz251-1c Destroyed. 3 Air/Action. 1 Bf109G-6 lost. 1 Flak. 2 Bf109G-14 lost. 1 Air/Action. 1 Flak. 1 Bf110G-2 lost. 1 Flak. 1 Bf109K-4 lost. 1 Flak. 43 Flak/Vehicles. Varenikovskaya. Gelendzhik Airbase. Troitskaya. Destroyed 4 Factory Warehouse Sections. Migrelskaya. Destroyed 1 Section Fuel Depot. 4 Ammo Bunkers. 2 Factory Warehouse Sections. 1 Control Tower. 2 Supply Hangers. Troitskaya. Destroyed 4 Cargo Dumps. 6 Factory Warehouse Sections. Karbardinka Docks. Destroyed 3 Dugouts. 1 Warehouse. 1 Section Revetments. Gelendzhik Airbase. Sank 1 14,000 Ton Tanker. Air/Action. Sank 1 MTB S-38. Air/Action. Destroyed 1 Locomotive Engine. 8 Rolling Stock. Air/Action. Destroyed 2 PzIVG-1. 2 Air/Action. Destroyed 3 SdKfz251-1c. 3 Air/Action. Shot Down 1 Bf109G-6. 1 Flak. Shot Down 2 Bf109G-14. 1 Air/Action. 1 Flak. Shot Down 1 Bf110G-2. 1 Flak. Shot Down 1 Bf109K-4. 1 Flak. 6 Factory Warehouse Sections. 1 Supply Hanger. Destroyed. Temryuk. 3 Fuel Bunkers. 2 Factory Warehouse Sections. 1 Barrack. Destroyed. 1 Dock Heavily Damaged. Varenikovskaya. 1 Supply Hanger. Destroyed. Kyivskoe-1. 17 P-47D-28 lost. 9 Air/Action. 8 Flak. 14 Spitfire Mk.IXe lost. 10 Air/Action. 4 Flak. Rough Day for Allied Pilots and Axis Ground. Last edited by Tx_Tip; 19-12-2018 at 13:26.